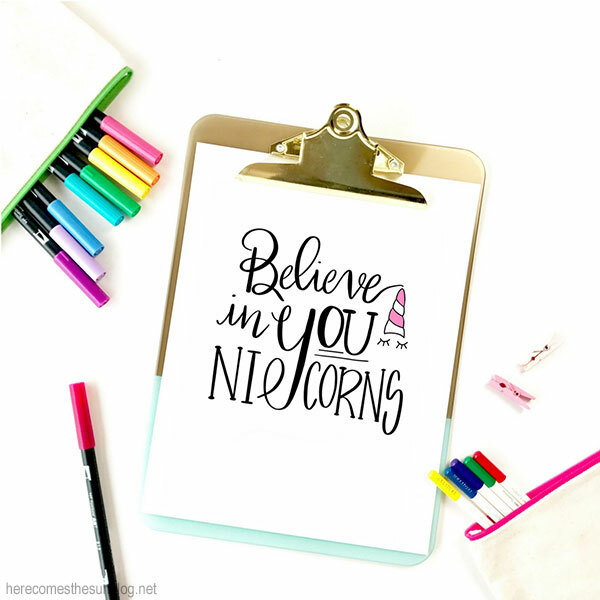 This unicorn print and hand lettering practice sheet does double duty! 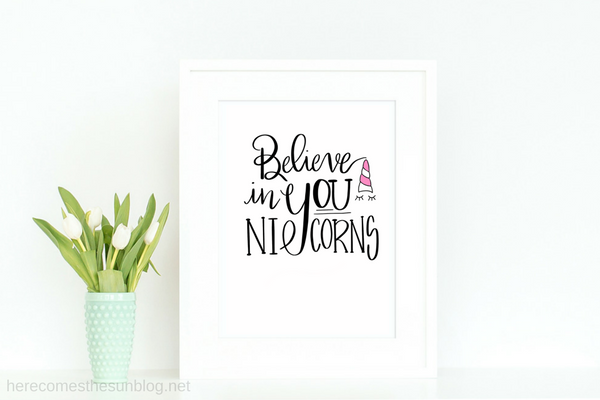 Print it out for pretty decor and practice your hand lettering skills! 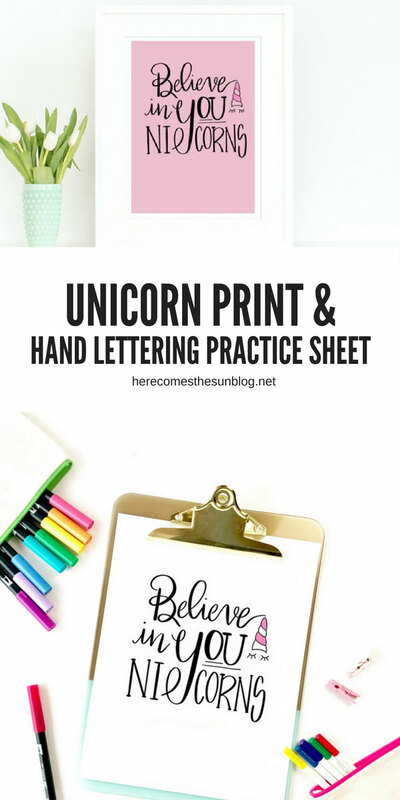 I am obsessed with hand lettering and slightly obsessed with unicorns too. I mean, what’s not to love about unicorns? They are magical, colorful and oh so fun. I think everybody needs more unicorns in their life, amirite? Today I’ve got a fun unicorn print for you. And it also doubles as a hand lettering practice sheet! Two in one? Sign me up! The print would look amazing framed and hung up in a little girls room, office or a craft room. I’m in love with the motivational saying because everyone needs a little motivation and self love these days. This print would look so pretty in a pink or white frame. 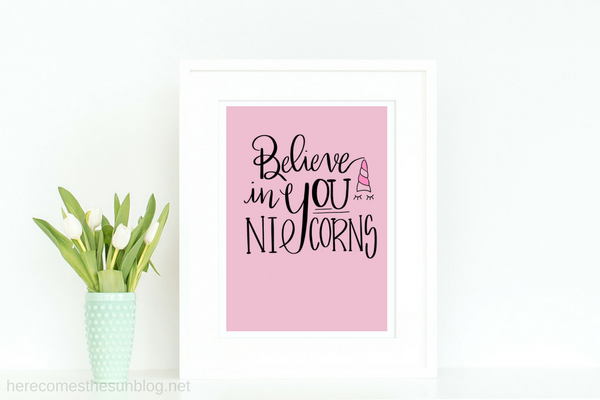 I’ve created this unicorn print in both pink and white versions so you can pick whichever works better for your decor. Both the files are in PDF format and can be downloaded below. Now for the hand lettering practice sheet. All you need to do is print it out, place in on a light pad and place another sheet of paper over it. Then, get your hand lettering on! You can download the practice sheet below. If you are new to hand lettering, here are some basic hand lettering tips. Tombow Fudensoke Pens These pens are thinner than the dual tip brush pens and allow more detailed work.